The 8th Annual One Mile Bang is a One Mile foot race along the northwest side of Vasona Lake in Los Gatos, CA open to runners of all ages and abilities. 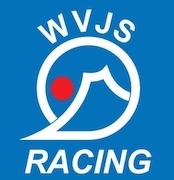 The course is flat, fast, and point-to-point. The event includes a Family Fun Run and elite level PACIFIC ASSOCIATION/USATF CHAMPIONSHIP prize money races. All proceeds beyond expenses benefit the San Jose chapter of CityTeam Ministries, an Agency to Help the Homeless in the Santa Clara Valley. 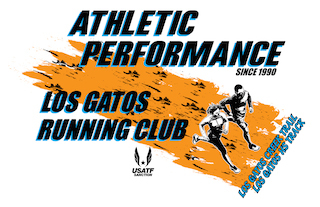 Race day registration will be held at 750 University Ave., Los Gatos CA from 7:00 AM - 10:00 AM. Race Day fee is $40. Athletic cinch bags given out to all participants (while supplies last). Pre-registered runners please pick up your bib number at this same location. Parking: please park in the designated lots at these addresses: 720, 727 (near starting line), and 985 (large lot near finish line) University Ave. There is also lots of street parking on University Ave. between Blossom Hill Road and Shelburne Way. **Note: no parking is available for runners at the 750 lot. This is reserved for race officials and volunteers only. Awards to top overall Male and Female runners. AWARD WINNERS MUST BE PACIFIC ASSOCIATION USATF MEMBERS and PRIZE MONEY IS AWARDED TO PACIFIC ASSOCIATION USATF MEMBERS ONLY. Prize money for the $2,900 purse will be paid out according to the standard PA/USATF Grand Prix breakdown.